Affordable California health insurance is easy to find when you open a policy through Strong Tie Insurance. You never know when an accident may occur or a health issue will strike, so you should be prepared with a California medical insurance policy. 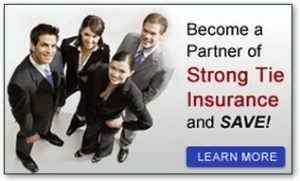 Strong Tie Insurance offers amazing coverage on personalized, affordable California health insurance policies. Contact Strong Tie Insurance today to determine which health insurance policy best suits your specific needs. We have the California medical insurance solution that’s right for you.